← Kruzenshtern Barque: Russian Sailing Ship! 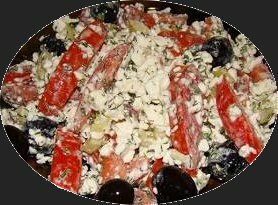 Recipe: Cottage Cheese Salad: from Russia. Slice tomatoes and olives. Cut sweet pepper into small cubes. Finely chop dill and parsley. The copy scores 65.6 in the Flesch Reading Ease test, which is considered OK to read.